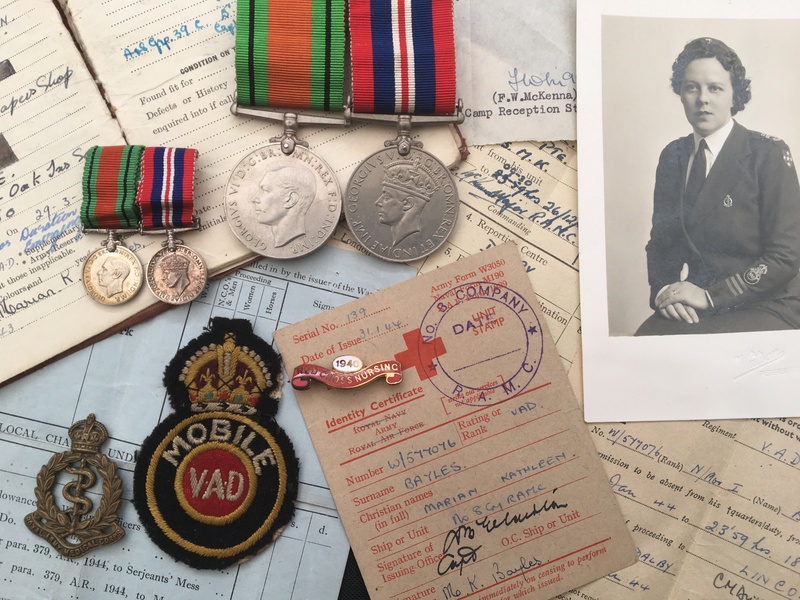 A WW2 Nurses medal group awarded to W/577076 Marian Kathleen Bayles. According to her Service and Pay Book, (which comes with this listing), Bayles enrolled with the 39th Company RAMC on the 29th March 1943, remaining with the 39th until being released from service in November 1945. 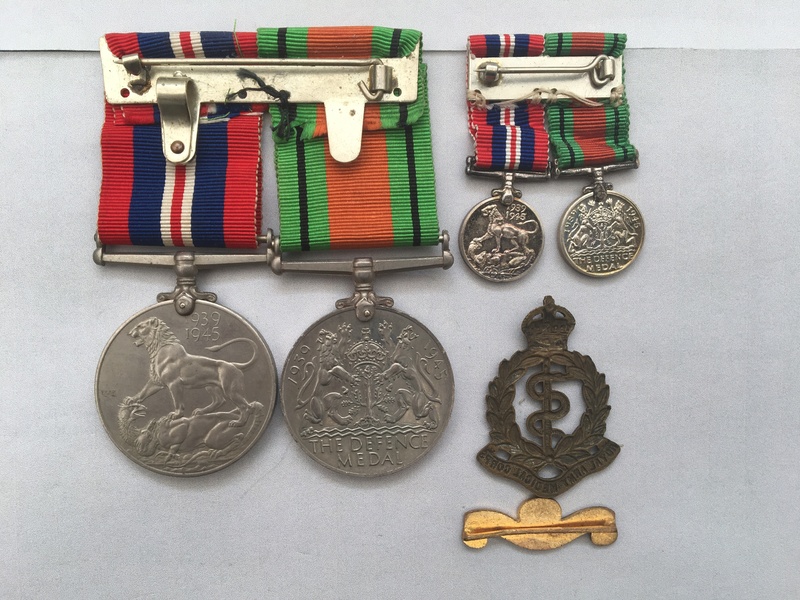 The medals are swing mounted and come with a matching set of contemporary miniatures medals with original ribbons. 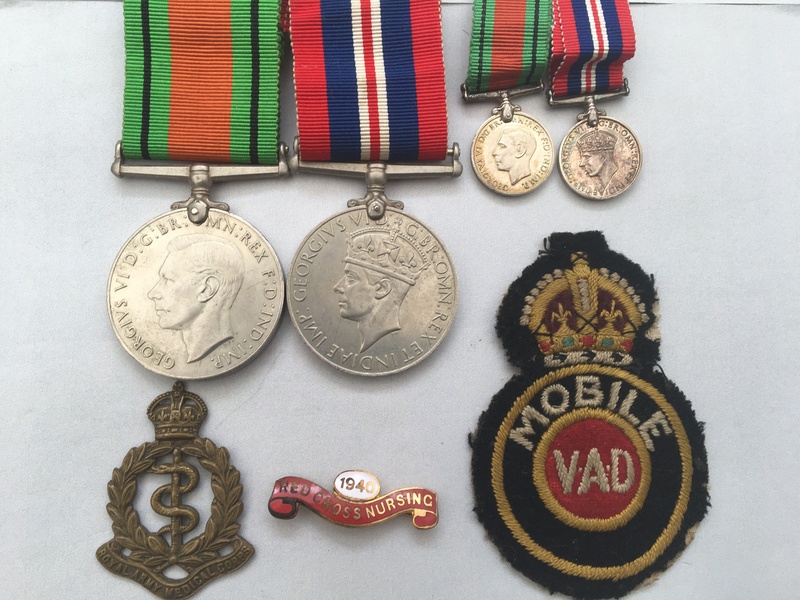 Also included with this listing, is a fine photographic portrait of Bayles and the original RAMC pin badge and ‘Mobile VAD’ arm patch exactly as shown in the photograph are included in this listing. 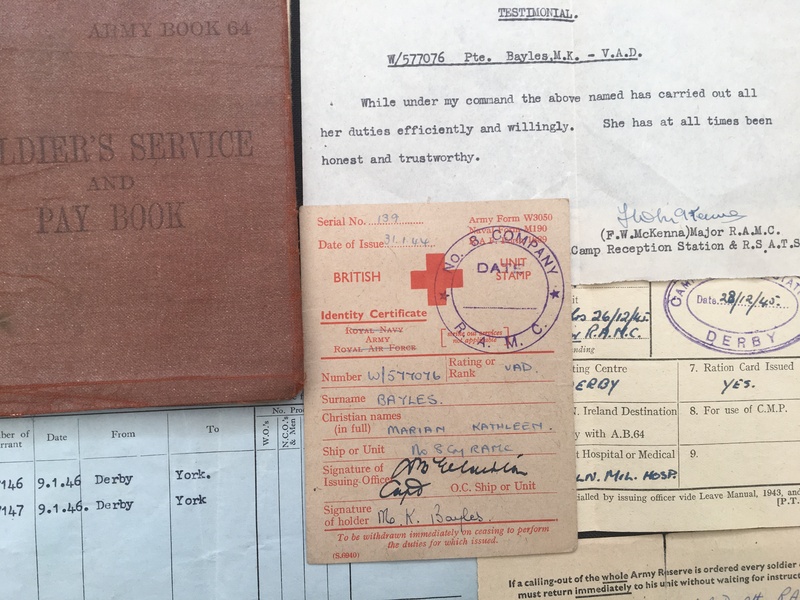 This related to service the Voluntary Aid Detachment, the history of which can be viewed by clicking on here. 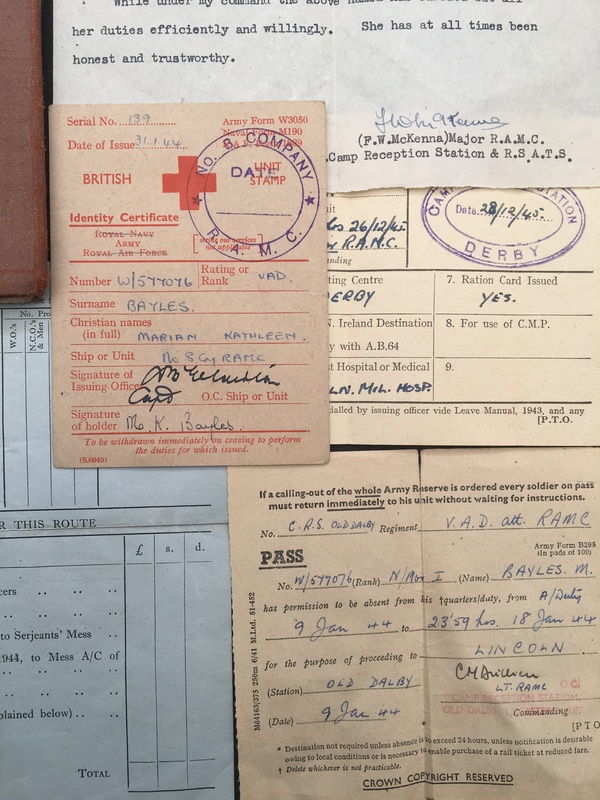 Also included, are a number of travel instructions, passes and testimonials in regards to Bayles and her RAMC service. I have undertaken no further research in regards to this person.